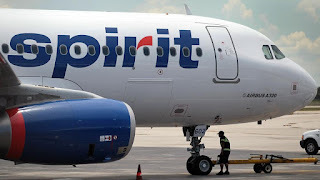 Negotiation with both Boeing and Airbus are ongoing says the boss of Spirit Airlines regarding the ultra-low-cost-carriers future fleet plans. Chief Executive Bob Fornaro said on Monday they were talking with all planemakers “We are pretty well set for the next three years, but we are talking to all the manufacturers about the next order,” Adding, “There is a fleet order in Spirit’s future,” The airline boss was speaking at the Boyd Group International Aviation Forecast Summit in Denver, but didn't specify a time frame. Many aviation analysts believe the airline is looking predominantly at the Airbus A320 family of aircraft, yet opening up the possibility of negotiating with other manufacturers in order to drive down the core unit cost of each aircraft.